Hey all! Thanks for visiting my site and supporting the dream. Want to go for a run, ask me a question or send me that funny article you just read? Find me at reed.fisch@gmail.com. 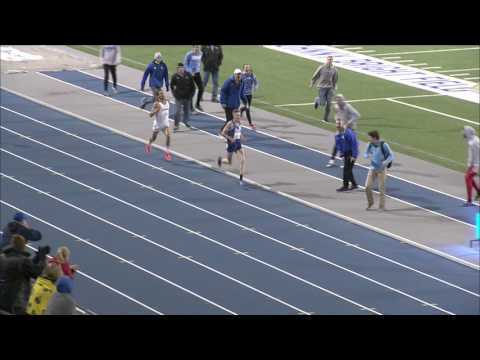 Highschool PR: Frank Shorter once said, "How did I know you ran a 4:30 mile in high school? That's easy. Everyone ran a 4:30 mile in high school.” Well I ran a 4:29.63 mile in high school, so take that, Frank Shorter. Fun Fact: I'm deathly afraid of Canada Geese. Must be the American in me. "I was an unremarkable high school runner, and ended up placing higher at NCAAs than I did at the Minnesota State Meet." From Minnetonka, MN, Reed attended Hopings High School. The first 5k he raced was over 23 minutes, but through hard-work, he has lowered his PR well under 14 minutes. Much of that progression took place in a Drake uniform. While competing for the Bulldogs, Reed would etch his name in the record books, setting the school records in the indoor 3k and the 5k indoors and outdoors. His love for Drake University is also etched on him, in the form of the school logo tattoed on his leg. On his progression, Reed says, "A teammate and I created a training mantra: 'Smileage.' Yes, it's a horrible play on words, but it's also a reminder to enjoy all aspects of the sport, treat each day as an opportunity and to use the sport to improve yourself and those around you." "Aside from running, I make a killer breakfast sandwich and I used to be in an a capella choir group." Reed is just as talented off the track as he is on, touting skills at public speaking by sharing his journey with those who will listen, in addition to hearing their stories in return, stating, "running is unique in that everyone has an interesting backstory or reason to run." Further, he has served as a camp counselor at a camp for at-risk youth, making him comfortable around kids, who he loves to support and encourage, both in running and in life. "After transitioning out of the sport, I plan to work in marketing and communications for a running or outdoors brand." When it is finally time to take his last step off the track, Reed hopes to live in the mountains with a family, a dog and an endless supply of running shoes.